This thread is for boxing fans who want to keep up with all the great fights through out the sport without having to find a separate thread. People might not of caught two great, amazing and exhilarating boxing fights this weekend because they might of forgot or not known about. So with that being said i will make this thread and add upcoming fights as soon as i know them, i like boxing and some fights are definitely worth watching. The Superman is 22 Wins (19! KOs) and 1 defeat vs Bomber who is 20 Wins (12 KOs) and 1 Loss. The Bomber a Liverpool based boxer has vowed to make Stevenson look like a mediocre fighter when he travels to Stevenson's home town of Quebec to take his title. Stevenson has been getting lots of shouts to make the big fight happen in the entertaining Light Heavyweight division with Sergey Kovalev the bruising undefeated Russian. This match will probably set up a summer date for a Kovalev vs the Winner super fight. Also the Co Main Event on this card is Kovalev vs Ismayl Sillakh! In a World Title Fight as well! It should be fairly easy fight for Kovalev though but you never know in this great sport. Devone Alexander comes into this fight with a 25 Win (14 KOs) 1 Loss record to defend his IBF title vs Shawn Porter 22 Wins (14 KOs) undefeated fighter. Should be a cracking Welter weight fight this between 2 of Americas good fighters in this division. Both will be looking for a nice win to set up a bigger fight down the road, possibly a Mayweather or Pacqiao fight might be on the cards for the winner. However this fight has a great Co Main Event. The grudge match of Zab Judah 42 Wins (29 KOs) 8 Losses vs Paulie Malignaggi 32 Wins (7 KOs) 5 Loses. Both are being labelled has beens so the loser of this fight will most likely end up on a career ending path so the win is vital! Both fighters have been saying they will knock the other guy out and win to continue their hopes of one last shot at the world title belts. Should be a cracking Co Main Event! Two tough Middleweights go at it for the IBF title. 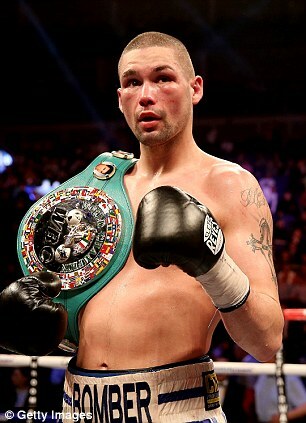 Barker is 26 Wins (16 KOs) 1 Loss vs Sturm who is 38 Wins (17 KOs) and 3 in his long career. These two are going head to head for the belt Sturm lost to Australian Daniel Geale back in September 2012. Since then Barker has beaten Daniel Geale in a Split decision victory in August this year. Which has set up this title fight between the two European pros. Not sure which way this could go, but you would back Barker having the edge after beating the guy Sturm lost too. Should be a cracking Middleweight contest though! Not long to go until the Bomber vs Superman fight, should be a tasty affair. They had to be pulled apart at the weight in after they butted heads against eachother and it all got nasty!! Should be great fun and the Kovalev vs Ismayl Sillakh fight before it makes it worth watching. Hope Stevenson will get crushed. I dont like pimps/former pimps. especially those who beat women. Wow Kovalev has some freaking power!!! Good fight on tonight guys! Anyone know the best way to watch the Broner-Maidana fight from the UK? So, will there be a Mayweather-Pacquiao fight on May 2? Holding my breath that Mayweather doesn't chicken out though. Unless of a knockout, Pacquiao has won this fight already. Boxing used to have a lot bigger pool. Now especially at the higher weight classes they have even worse issue of lack of talent. The champs are in their 40's. seeing as this is a boxing comment i'll put it in this thread. all the fights in the higher weight classes look to me to be guys in their 20s and 30s. not sure what u r talking about. as stated in a previous thread.. since the 70s there have been plenty of heavyweights over 35 and lots of heavy weight champs over 35.. so this is not a new trend. so i don't think have 1 guy over 35 as non-WBC heavyweight champ indicates much. there may be bad things going on in the sport.. but i don't think the fact that Klitsko is 39 years old indicates anything. now if all the top contenders in the the 3 biggest weight classes were all 35+ years old.. then that would be cause of alarm. I don't think there is really a discussion. Everyone knows the klitschos have been the champs one or the other for 10 years, which was my point about the lack of depth. That he's 39 and not 40 doesn't change that. And no one (who even remotely follows boxing) considers some alphabet belt holder the heavyweight champ of the world. WBC isn't just some alphabet belt though. you did not say it was merely the heavyweight division. going below heavyweight division none of the top guys are "in their 40s". the fights i've seen i'd say he Klitchko is somewhat better than the top 5.
no different than when Lennox Lewis was champ in his late 30s. 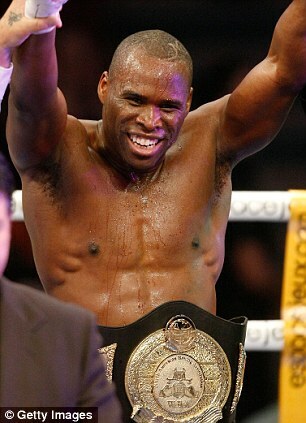 and there have been lots of top heavyweights both champs and contenders in their late 30s since the 70s. i've already listed them.,... HOlyfield, Lewis , Foreman... etc etc. is Boxing in worse shape than it was in the early 70s when Ali was at the height of his career. imo, yes. none of that has anything to do with today's heavyweight champ being 39. Which was not my point. My point was there is no more depth issue in UFC than Boxing, and we were specifically talking about heavy weight division. (the fact that you copied a small part of what I said and none of the points before it in hopes of making me look dumb not withstanding) I was saying how the same people, the brothers have been at the top for a long time. One of the main reasons is there is only so many humans that big and many are picking different sports these days. Which has caused a lack of depth. Also the WBC is one of the alphabet belts it's a term because in most sports there is one world champion in Boxing there can be 5 or more but generally there is one guy who is recognized as the champ, the belts are mainly used to create interest in fights. As I've said over and over no one but the guy promoting a non klitscho would consider them the true heavy weight champ. the point of contention was this. you have backed off of your original point in its 2 false aspects. the "in their 40s" thing is incorrect and you've conceded on that. and now " the higher weight classes" part you're also backing off from, great. none of it withstood even basic scrutiny. however, boxing is not what it was when Ali was at the height of his fame in the early 70s. has it suffered a decline from say 2005 to now? that's a difficult question. did it decline the day Ali retired. no doubt. My response was to a comment that boxing had better depth in the HW division than in the UFC. So I don't know how I'm backing off from that? The HW division in Boxing has been dominated by 2 men for the better part of a decade and those 2 men happen to be Brothers. Because of this they won't fight each other so there has not been the super fight build up that there was in past which helps create interest. Look, this thread is for boxing info not you trying to pick a fight with me. If you want to continue the discussion feel free to PM me, but my guess is if you continue to derail this thread you may get kicked out like you did from the NHL one. So don't expect another public response from me. where are all the top notch light heavyweights in their 40s? lots of athletes in lots of sports are at or near the top at age 39. including boxing. Barry Bonds was teh best hitter in baseball by a wide margin at age 39. This says nothing about the depth of the talent pool in baseball. Furthemore, the drop off from 39 to 44 in every sport in monstruously huge. yes , the occasional Teemu Selanne, Chris Chelios or Vitali comes along. it says nothing about the talent pool in hockey or boxing. i mean .. is hockey's talent pool in decline because Selanne played at 43+.. nah. was boxing also dying when Lennox Lewis was champ at 38? how about when Holyfied was champ in 2001? now if all the best players or boxers were over 35 then there is cause of concern in whatever sport is being discussed. in 2016 the Olympics will now include pros and this will make it harder for young boxers to get paid training by their home countries. so maybe in the future this problem of aged boxers might occur. its not happening right now though. you are a man ahead of your time. Wilder said he was new Mayweather......Wilder vs AJ has got the liking of new super fight ala Mike Tyson vs Lennox Lewis mode, could be awesome! Heavyweight division is back imo! Shame this wasn't 5 years ago though so we could see the Klichtsko's beaten but if you beat them now its more a well "they are old" comment. This fight should be comfortable again for the champ in Andre Ward, Paul Smith is an English fighter who has heart but isn't in the class as Andre Ward. Andre Ward is one of the best fighters in the sport but has the charisma of a fish and thus is not out there getting the fights he deserves which is sad. Also has had injuries and has fought just two times since beating Carl Froch in 2011! why do you say that the "Heavyweight division is back" ? is it because the WBC is setting up good heavyweight fights? Because there is crazy good talent at the moment. some more up and comers around as well who brings the explosives.